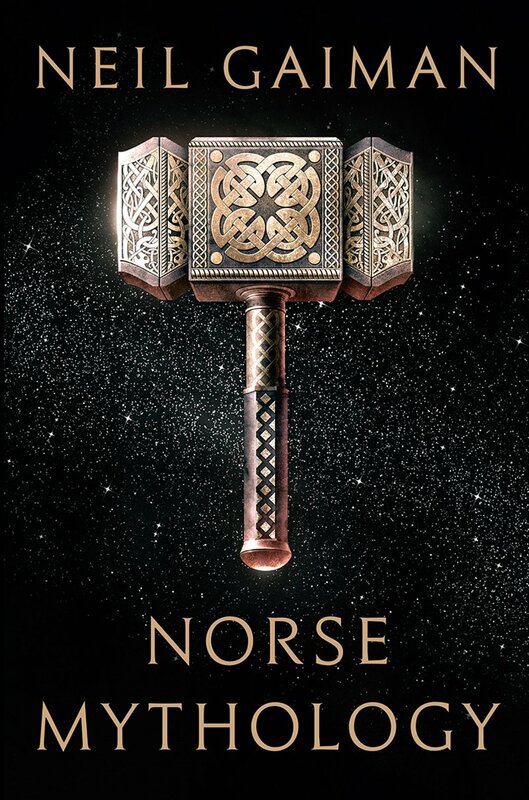 With Marvel reinventing Norse gods like Thor and Loki for the screen, it seems appropriate that someone should come along to breathe new life into the stories of these and the other Scandinavian deities, and who better to do so than Neil Gaiman? Anyone with a passing acquaintance with Gaiman’s Sandman comic book series or his novel American Gods knows that the author has long been fascinated with the gods of Asgard, and I can imagine no one better suited to putting new meat on those old bones. 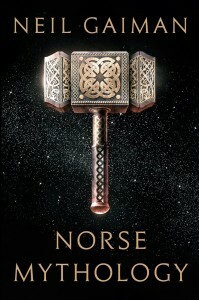 In Gaiman’s able hands, Norse Mythology is an entertaining introduction to the pantheon and a cohesive selection of stories well-told. The all-father, who created the world and who hung from Yggdrasil, the world-tree, nine nights until the runes were revealed to him and he understood magic. The thunderer – good-natured and powerful, wielding Mjollnir, the hammer forged for him by dwarves, with which he defends Asgard. A frost giant and Odin’s blood-brother. Shrewd, likable even, Loki is utterly untrustworthy – a shape-shifter who can fly across the sky. After reacquainting ourselves with Odin, Thor, and Loki, we dive into the origins of the Norse universe. In the beginning was nothing (as is often the case) – only Surtr, a warrior who stands with a flaming sword. We meet Surtr again at the book’s end, when he burns all existence with that sword. Nasty fellow. We also meet Ymir – genderless, larger than worlds, and the ancestor of all giants – as well as an enormous, hornless cow whose milk Ymir drinks for nourishment. The cow, with its gigantic pink tongue, licks a block of ice into a human shape that becomes Buri, ancestor of the gods. Ymir meanwhile births two giants from which all the other giants are descended. Pretty weird, but still efficient as far as origin stories go. As it happens, Buri is Odin’s grandfather. Odin and his brothers end up killing Ymir and, from its body, creating the world, a flat disk encircled by the sea, at the edges of which live giants. Our world is called Midgard, Middle Earth. You may have heard of it somewhere. The tales herein are fantastic and we learn of many gods and goddesses of Asgard – Heimdall, watchman of the gods; lovely Sif, Thor’s wife whose hair Loki steals; Frey, who controls the weather and falls madly for a giantess; Idunn, whose apples of immortality Loki steals. Are you sensing a pattern here? We meet tricky frost giants, light elves of Alfheim, dwarves who bring the gods their greatest treasures, and more. Throughout these tales, Gaiman’s runic wizardry rivals that of Odin himself, and when, at Ragnarok, you’ve reached the world’s end and cyclical rebirth, you just may feel compelled to begin again yourself.